My husband has been playing the piano since he was five years old, and Mozart is the composer who has inspired him the most. 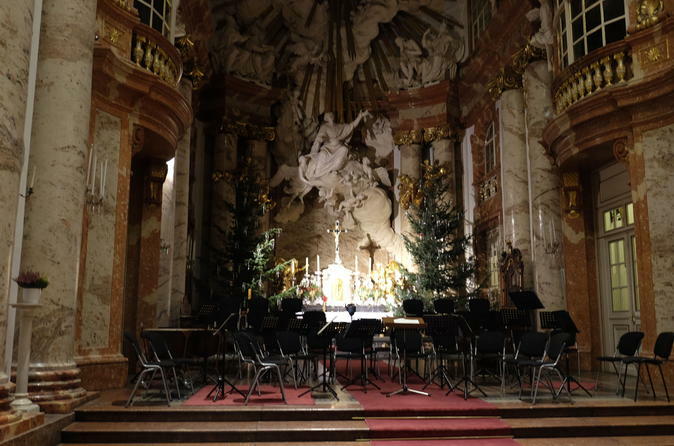 So, it was only natural that we chose to see the Requiem, played on period instruments within this incredible baroque church. We opted to pay extra for Category I seats, which was exactly the right decision. We were in the front row and the sound quality was amazing. We attended in late November, so it was cold out. Upon entering the church, each person was handed a wool blanket, making it very comfortable. St. Charles church is in a very convenient location and we were able to grab dinner and stroll the Christmas market before the concert. Our entire experience was wonderful and authentic. The musicians and choir were so talented and precise and the Requiem is such a moving piece. The concert is just the right length too - even our nine-year-old daughter really enjoyed it. I highly recommend you pay for Category I seats - you won't be disappointed! Outstanding venue and performance. This was one of the highlights of my trip to Vienna. Pay the extra to sit in front. Very professional and impressive performance performed by soloists from the Salzburger Konzertgesellschaft! A little bit cold in winter, but little can be done with this because it is a huge church they distribute between spectators warm blankets. Glad we did it! My hubby really loves Mozart and this piece. He enjoyed himself because of the venue and that it was in Vienna. We enjoyed it as well and it was only an hour so not a huge time investment. We purchased tickets for the first group of rows and sat in the third row so great seats well worth the price. 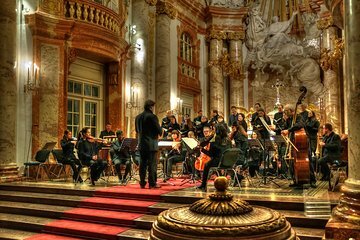 Great orchestra, great choir, great location - goosebumps guaranteed. Awesome soloists, especially the soprano singer and the alto counter-tenor. The Mozart Requiem was well performed by the choir, orchestra, and soloists. It was sold out, glad we had tickets. We enjoyed the concert and the church. Outside we were amazed at the beauty of the church in the reflecting pool as the sun set and the lights came on. Wonderful evening. Good but do not hesitate to take a ticket to be at the front. Sound is not as good as I though it would be... and a warm jumper!